ragi rotti recipe | ragi roti recipe | finger millet roti recipe with detailed photo and video recipe. 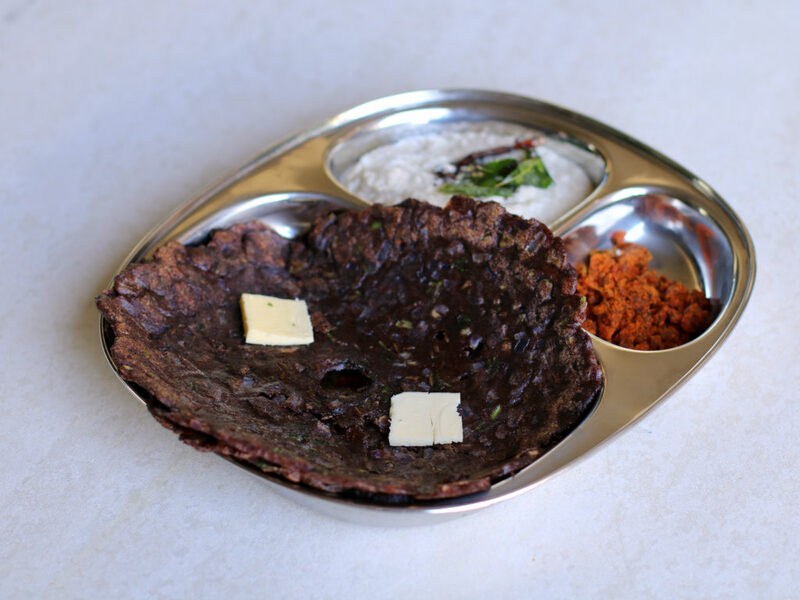 finger millet roti is a popular karnataka breakfast recipe. 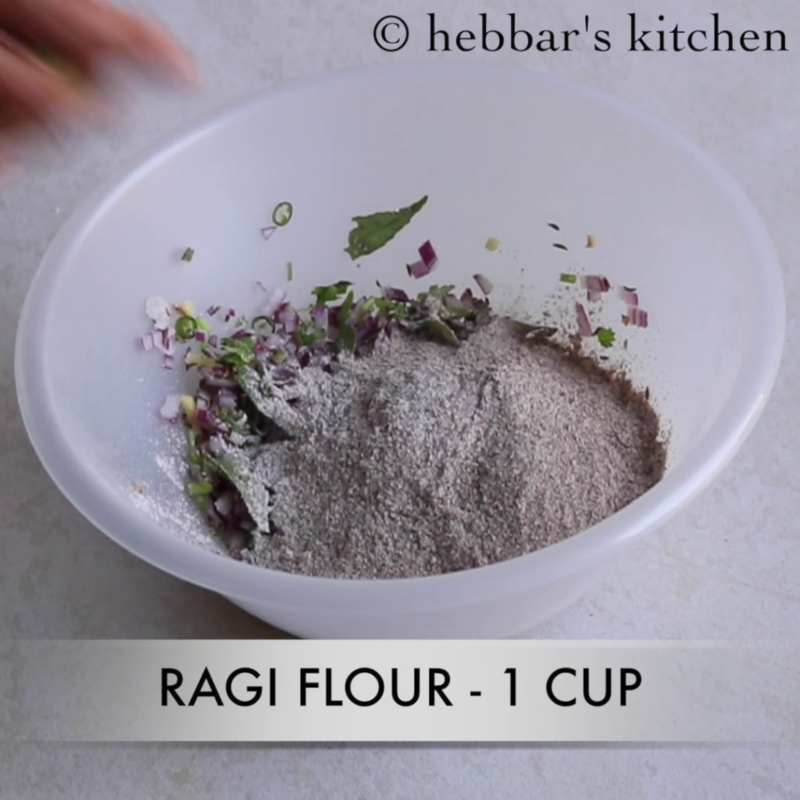 ragi rotti recipe | finger millet roti recipe with step by step photo and video recipe. today i am sharing raagi rotti in karnataka style. 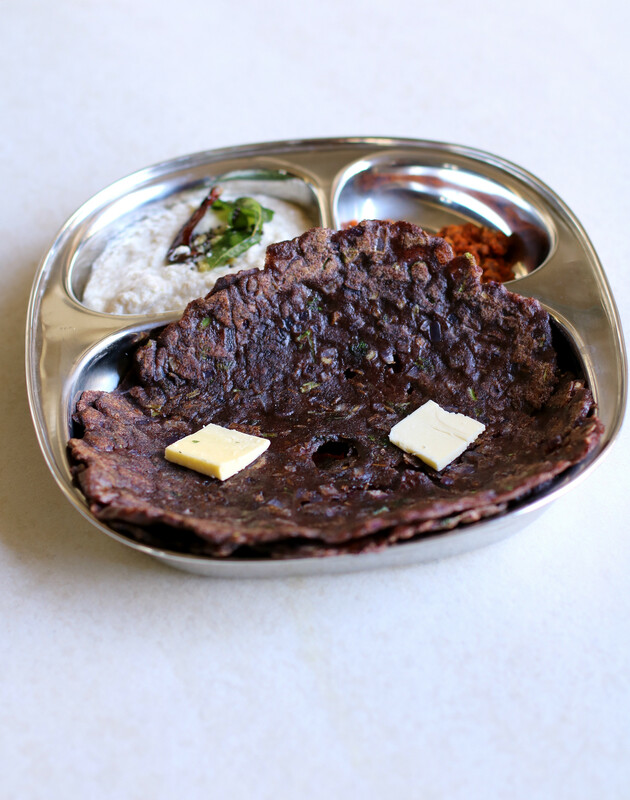 ragi roti are considered to be rich in proteins, and these rotis are very good for health. ragi rotti, also known as ragi roti or finger millet roti. i have already shared instant raagi dosa recipe. my mom and mother in law prepares many variation in this. so i never get bored of having ragi rotti everyday as my breakfast. and i love to have raagi rotti as it helps to be fit and advantageous for weight reduction. 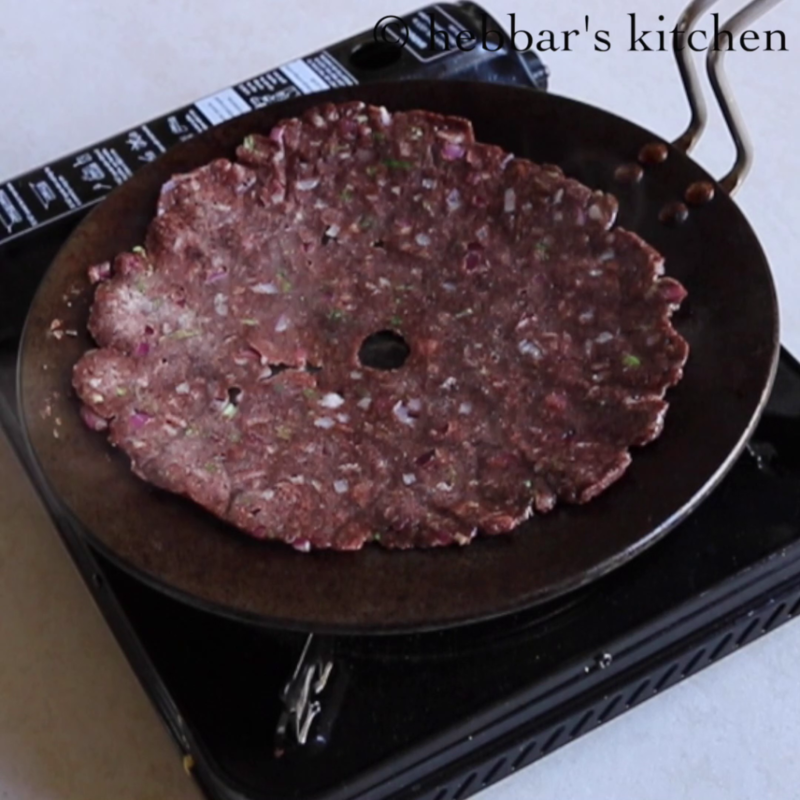 the ragi roti can be prepared in two ways. the first one is rolling out like normal chapathi. the second option is hand-beaten on top of banana leaf or even aluminium foil. however my mother in law prepares this deliciously, and it taste great when prepared on banana leaf. just before jumping into the recipe, please have a look at my other breakfast recipes, especially akki rotti, rava idli, idli with cooked rice, idly with idli rava, mini idli, kotte kadubu also have look at my dosa, rava dosa, oats dosa, plain dosa, neer dosa, poori etc. 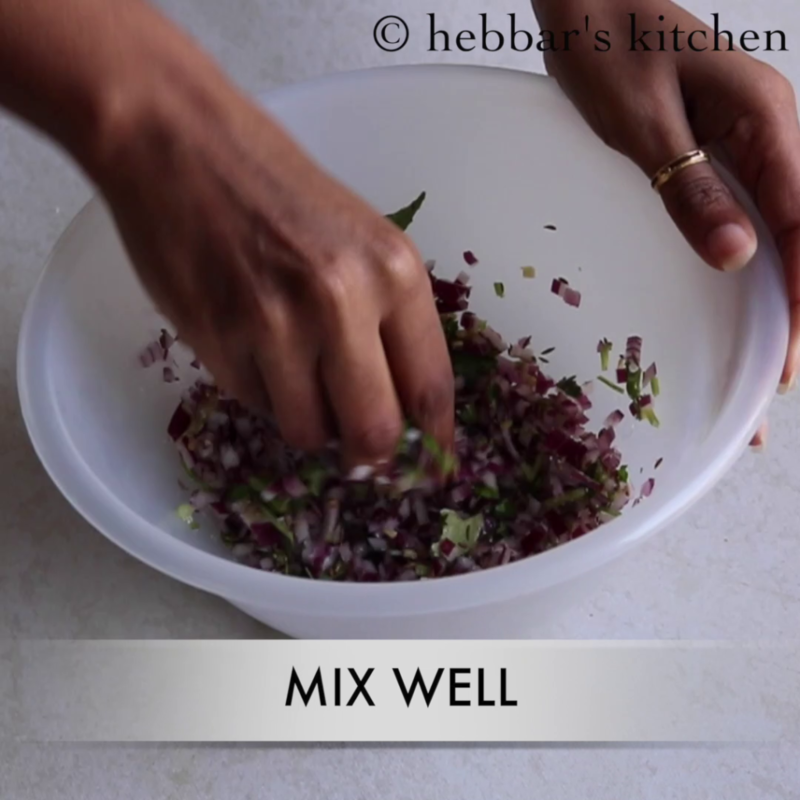 add chopped onions, chilies, ginger, coriander leaves, curry leaves along with salt and cumin seeds to a bowl and squeeze out the juice by mixing well. 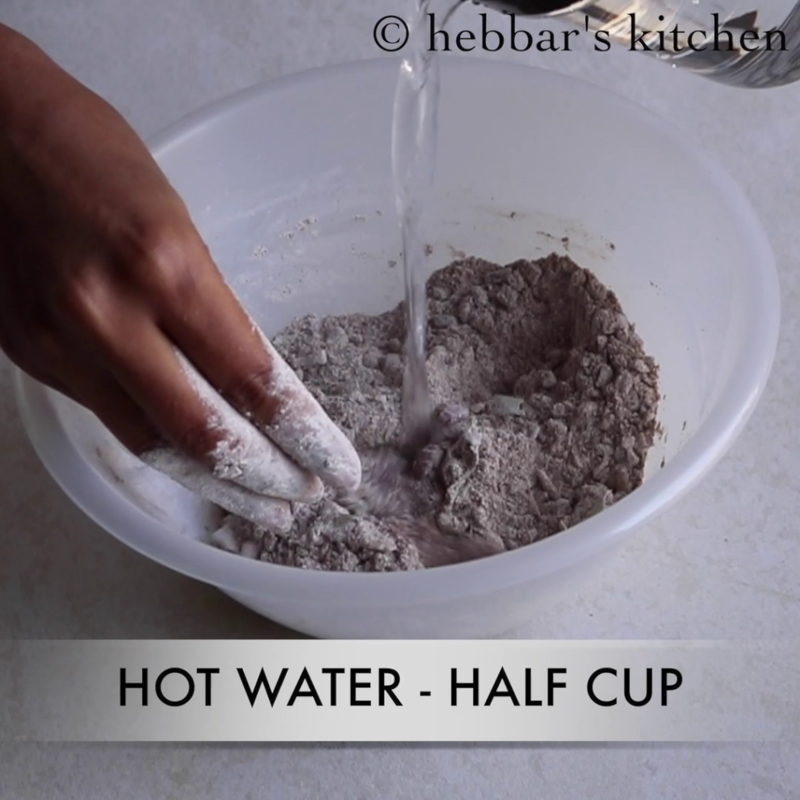 now add one cup of ragi flour and dry mix with the above mixture. 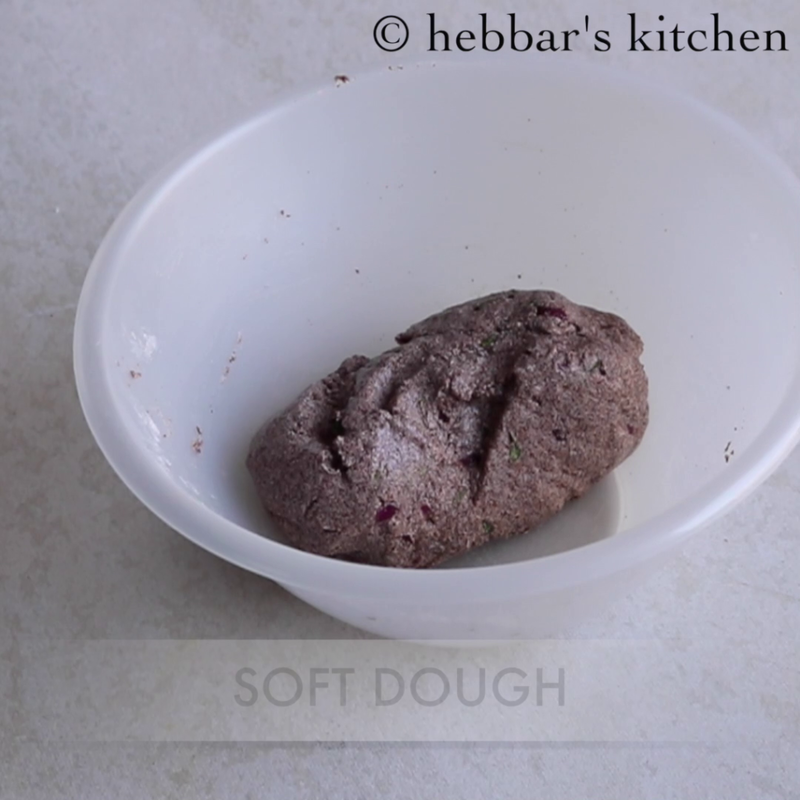 add boiling water as needed and make a soft dough. make it smooth and soft. you may pat the dough on a banana leaf / aluminium sheet or on a plastic sheet. 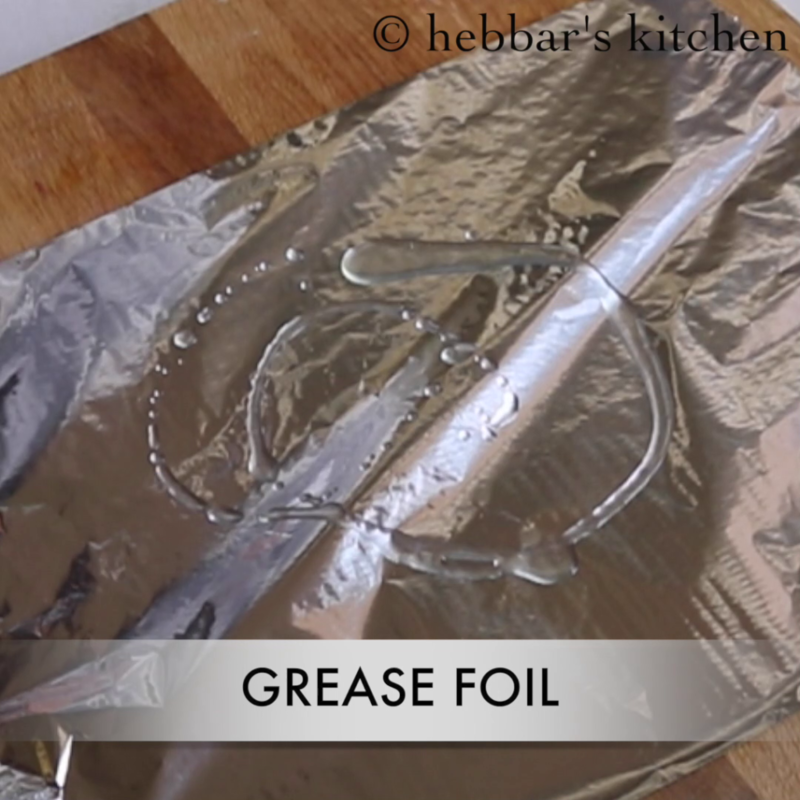 grease the aluminum foil with oil. take a ball and spread it evenly and as thinly as possible. grease your fingers with oil / water if the edges break..
if the edges are cracking, then dip your finger with some water and gather it and seal the crack. 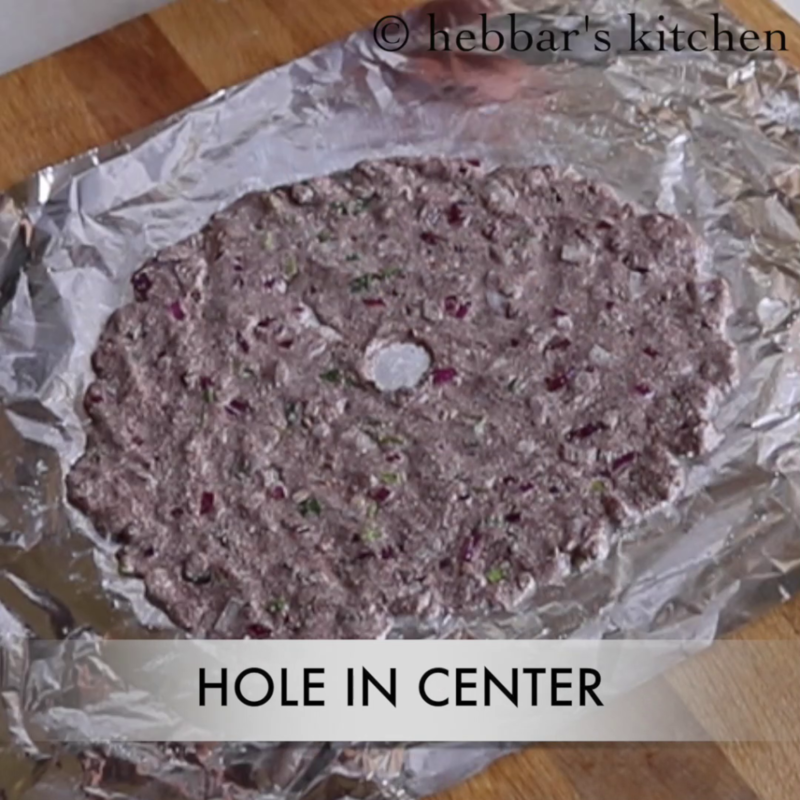 make some holes in between to make sure the oil gets absorbed uniformly well. once the griddle is hot enough, gently, drop the sheet upside down on the griddle. after a minute, gently peel the sheet off. smear some oil around the rotti and cook both the sides. make sure to roast until golden brown. serve the rotti hot with chutney, butter and masala tea. firstly, to make raggi rotti crisp, make sure you have patted it thinly. also, you can even add grated carrot or any other vegetables to make it more healthy and colorful. in addition, to make raggi rotti soft and more tasty, add some of fresh grated coconut. 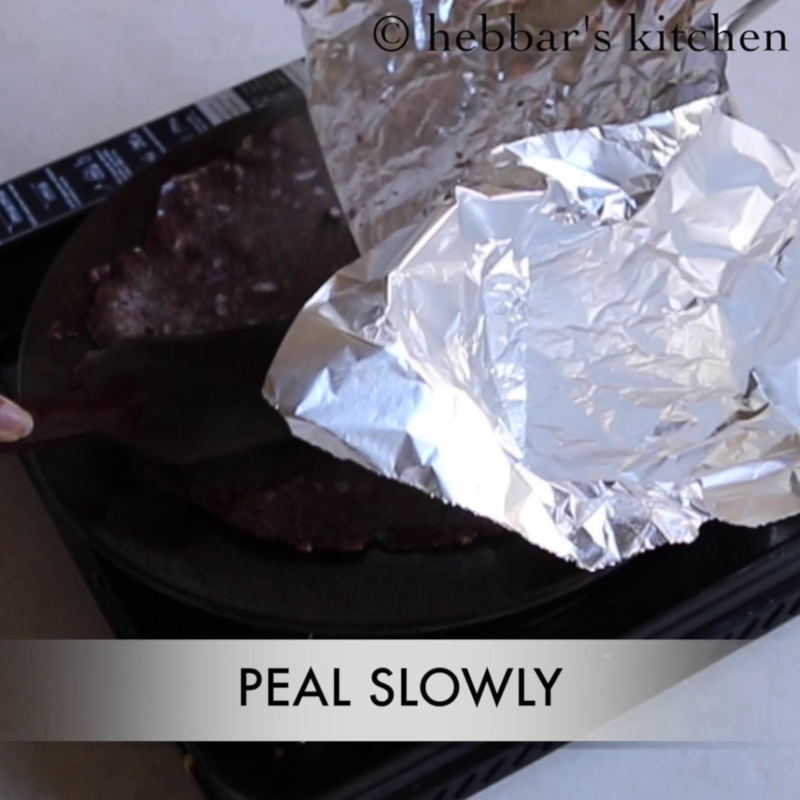 furthermore, you can pat on plastic sheet / aluminum foils / parchment paper / banana leaf . finally, you can also pat the rotti directly on tawa like talipattu.